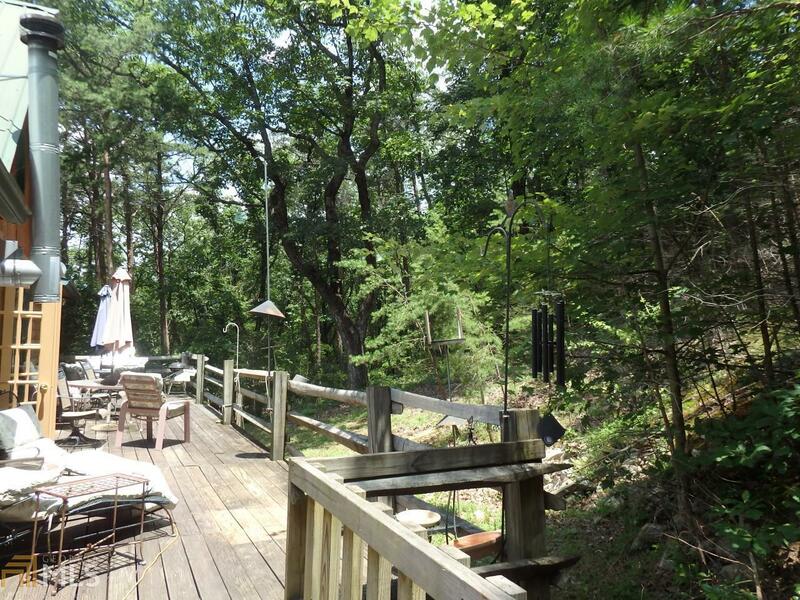 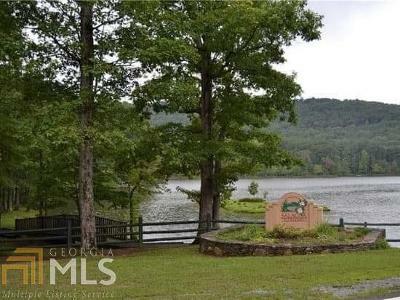 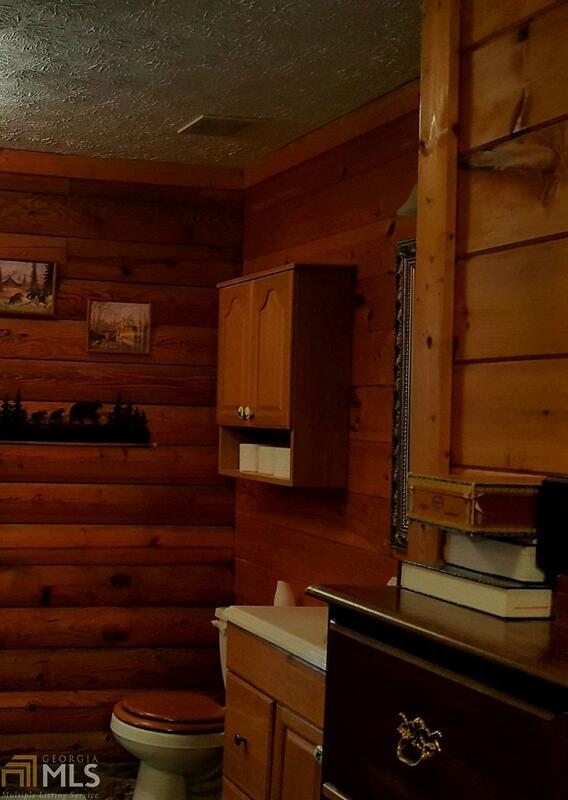 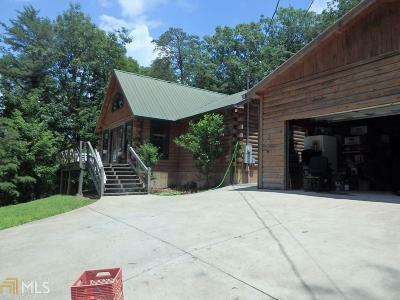 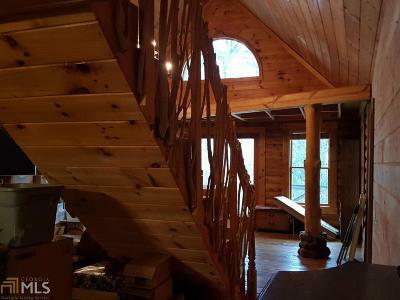 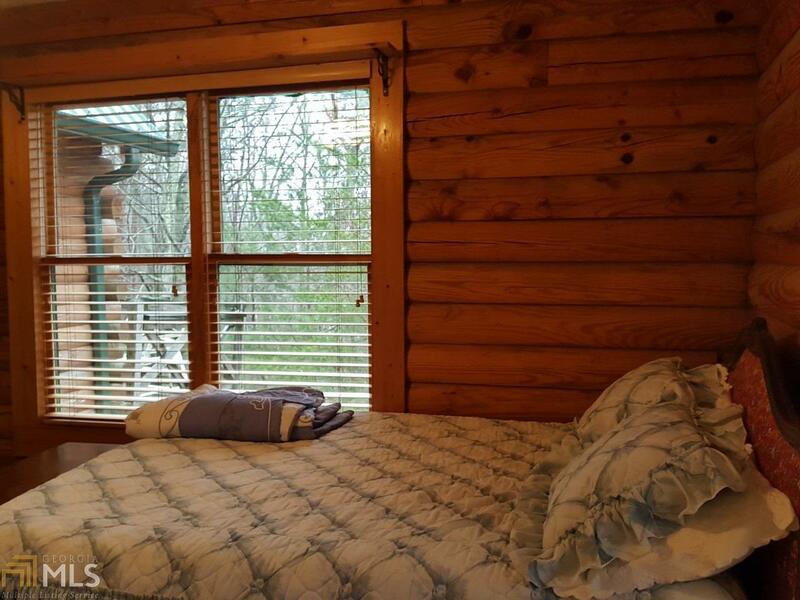 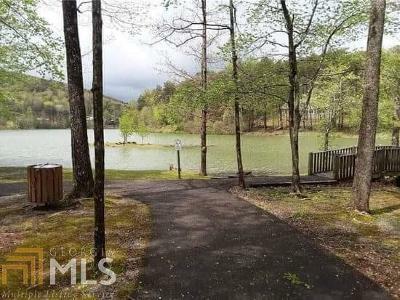 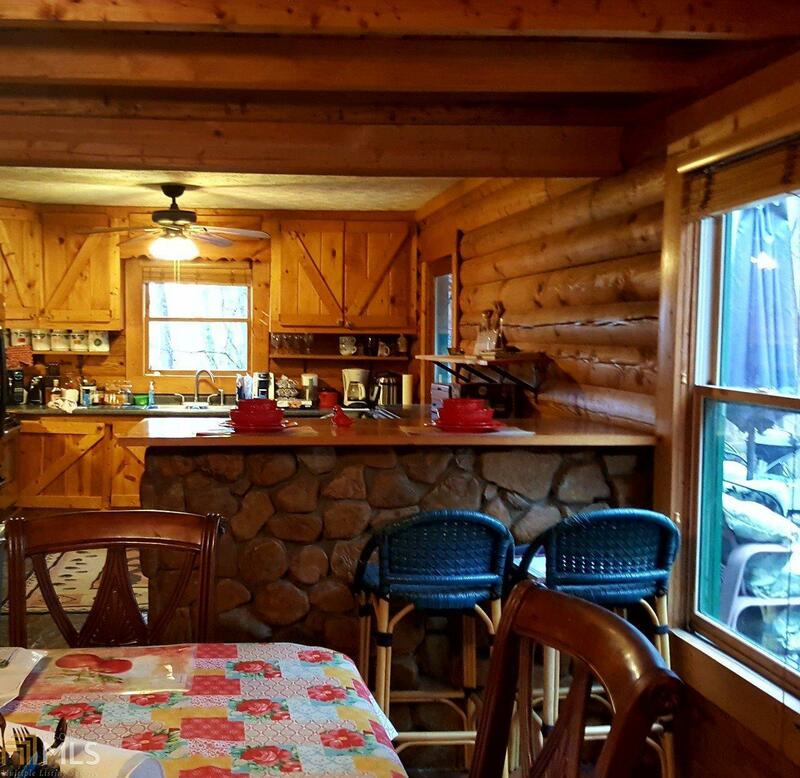 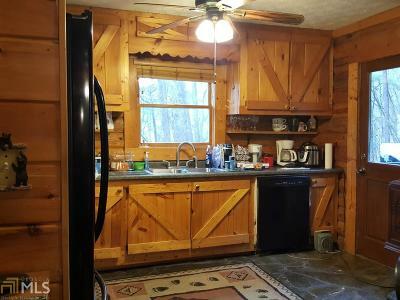 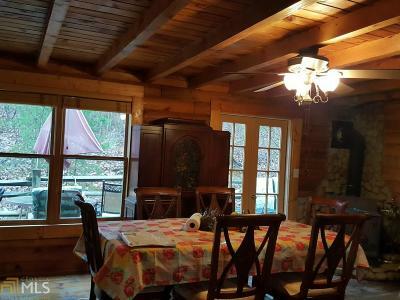 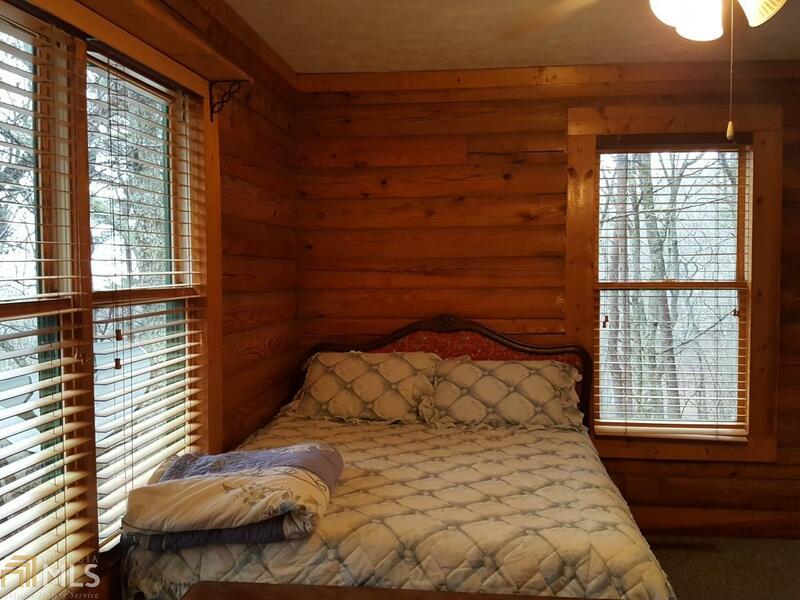 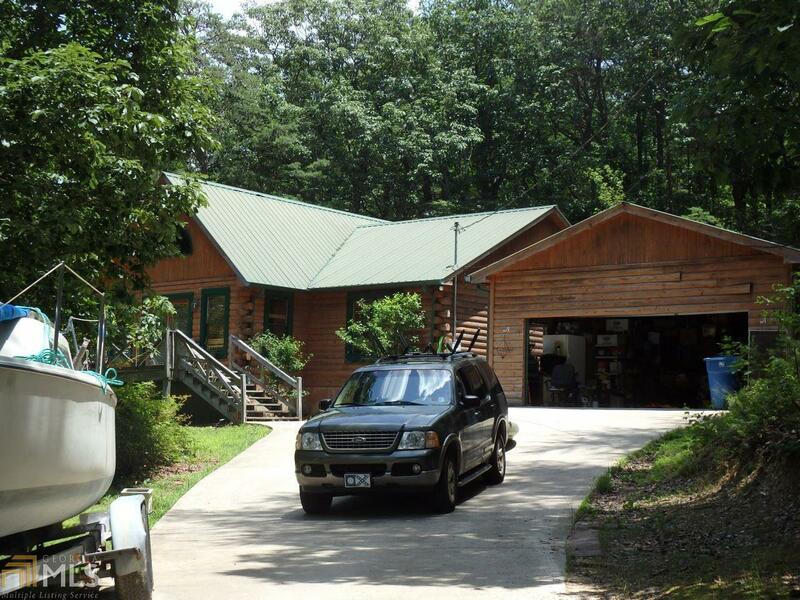 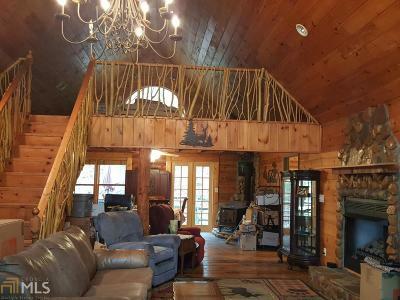 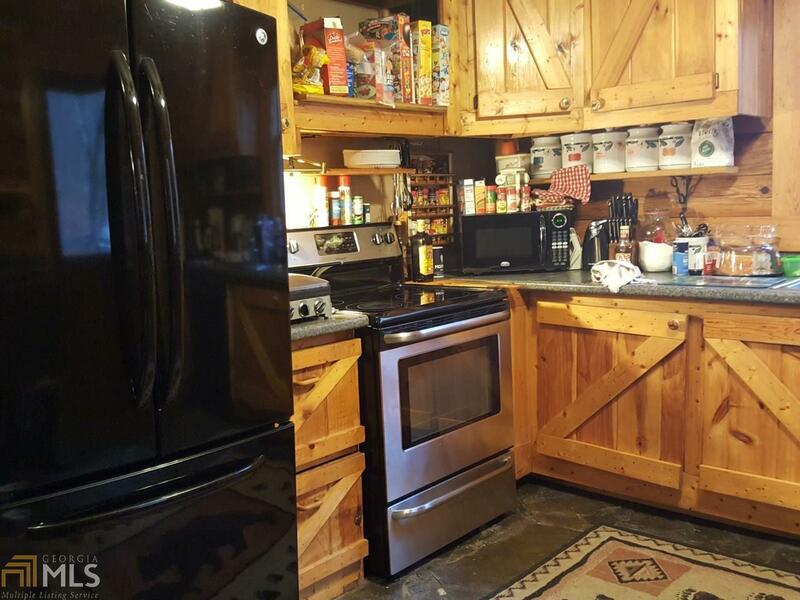 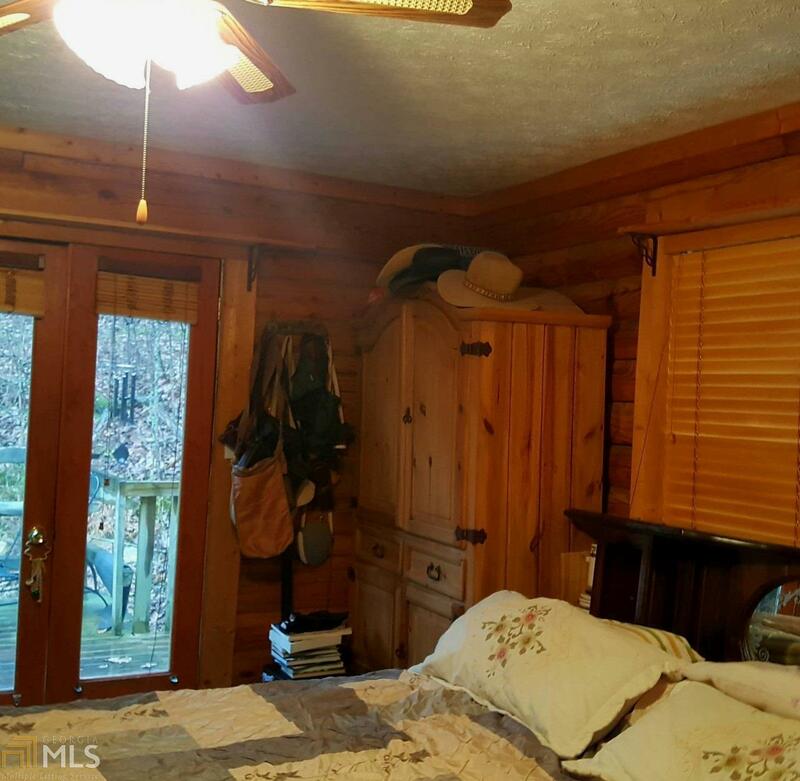 Mountain Log Home with vaulted ceiling on wooded 3.20 Acres. 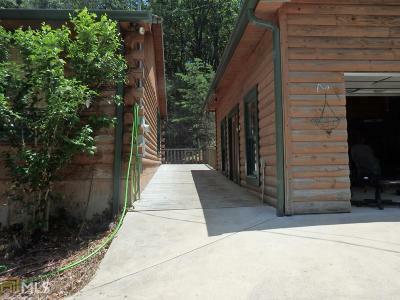 Stone columns and gated concreted drive to 2 bedrooms and 2 baths with loft suitable for sleeping or office. Stoned floored kitchen with appliances and stone rock breakfast bar. 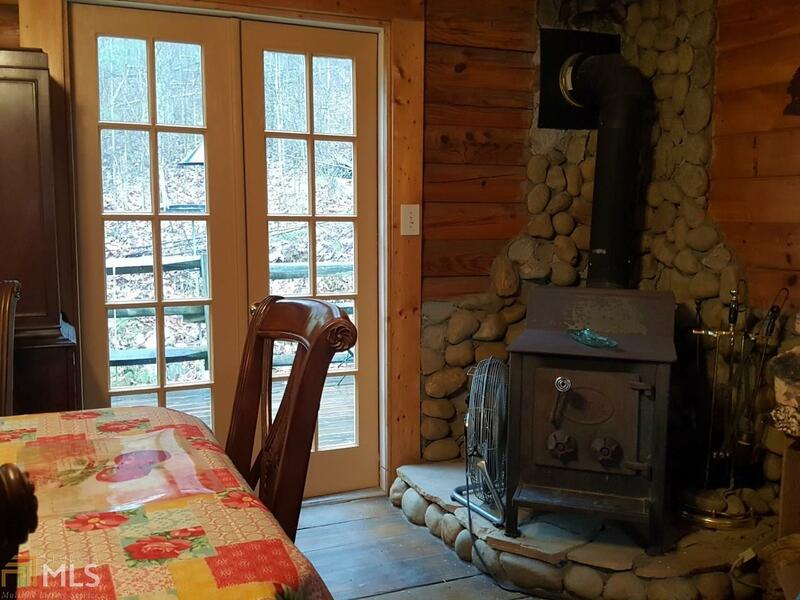 Dining area with glass doors and cast iron "Vestal" heater on stoned rock Hearth. 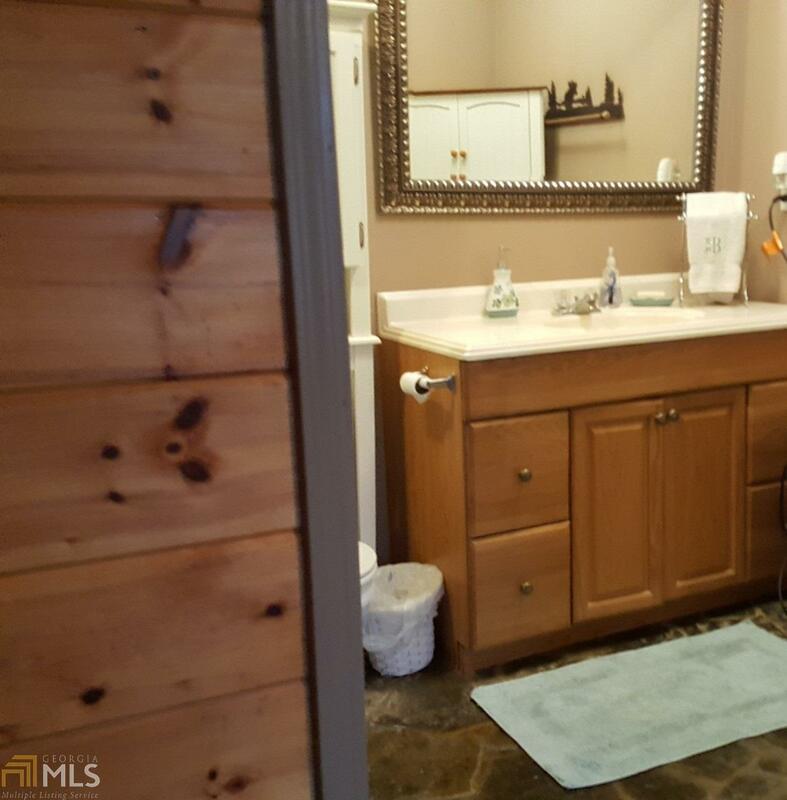 Master Bedroom with glass double doors and oversized bathroom with stone floor. Fireplace. Double detached garage. 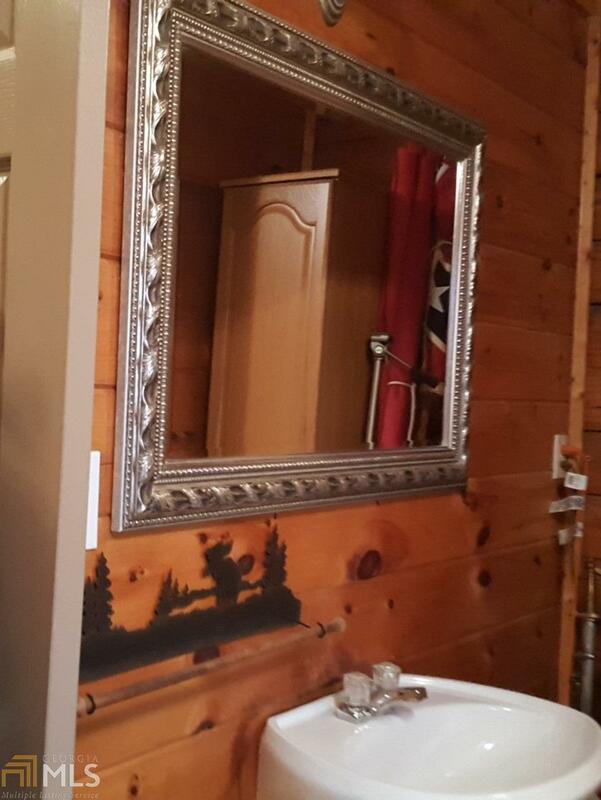 Guest Suite with private bath.